As I was scrolling through my twitter feed this afternoon (ah, the joys of winter break, when all grading is finished and report card comments are entered! ), I came across a link from Runner's World that promised great laughs. Anyway, as I was scrolling through, I came across a post that felt like it was made for me. And by "made for me", I mean "made for any runner who has ever run in a race. Ever." How many of us have finished a race and immediately begun to whine about the old man threw a 'bow at the water station, or the jogging stroller that kept bumping runners off the sidewalk? 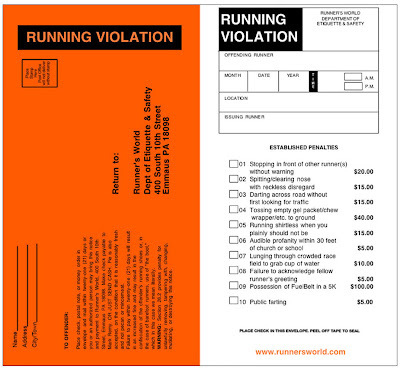 Remy has put together an awesome Running Violation Ticket we can use on these lawless runners, and just reading it and know I'm not alone in my frustration has brightened my day. I especially love that my biggest pet peeve is the first on the list: stopping in front of other runners sans warning is an infraction worth a $20 fine. My favorite, though, is the one that carries the heftiest price tag because, while you may not see it often, it's just so ridiculous when you do. Click the photo for a larger version and enjoy a few minutes of laughter on this Friday afternoon. 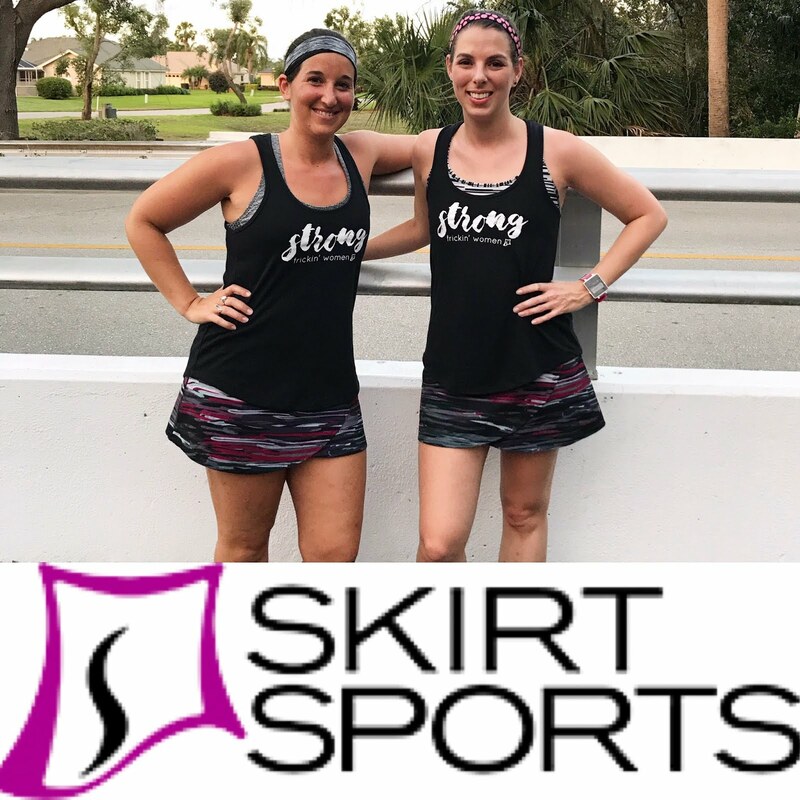 These violations occur most often at big races that attract a slew of non-serious runners: Turkey Trots, Komen races, and the like. I'm tempted to print multiple copies of this and hand them out mid-race to those who can't seem to get a handle on basic race etiquette. Can you imagine? I'm in tears just thinking about it.